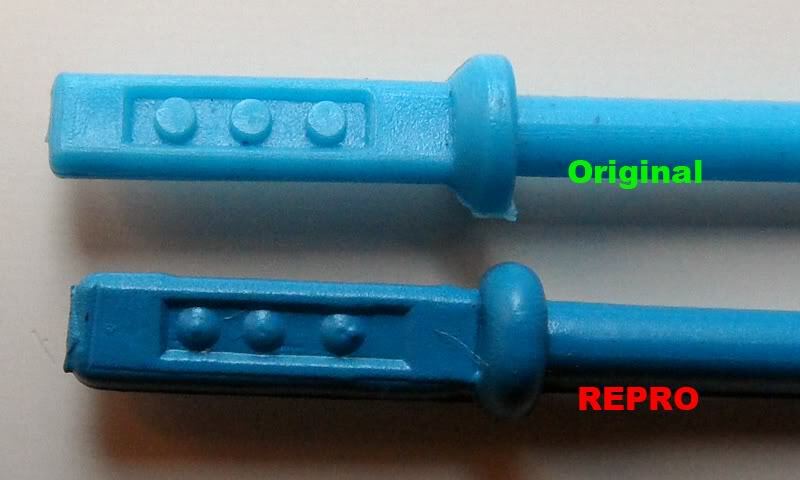 Main aim was to capture both the colour differences and also the mold differences in a close up shot. Jay, thanks for sharing this info. 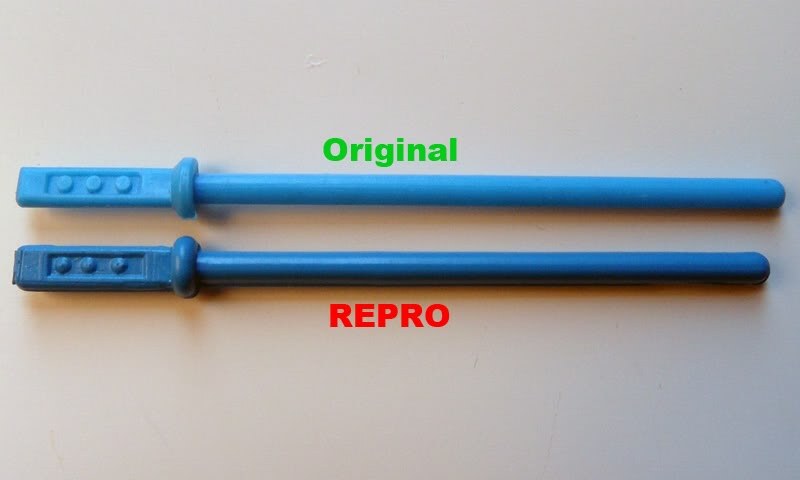 The repro is sooooo inferior looking compared to the REAL McCoy! Great pics Jay,you can really spot the differences! Edit: Could take a picture of your "light set up" please? That 100% spot on mate. Taking pictures of vintage sabers is probably the hardest to do imo. After my holiday in Belgium next week (which will involve me drinking Jimmy under the table) i hope to start improving some of the older REPRO pictures on the main TIG site www.imperialgunnery.com i have quite a few REPRO's and pictures to add as well. Paul sent me some good Yoda accessories pictures so ill be adding them as well.